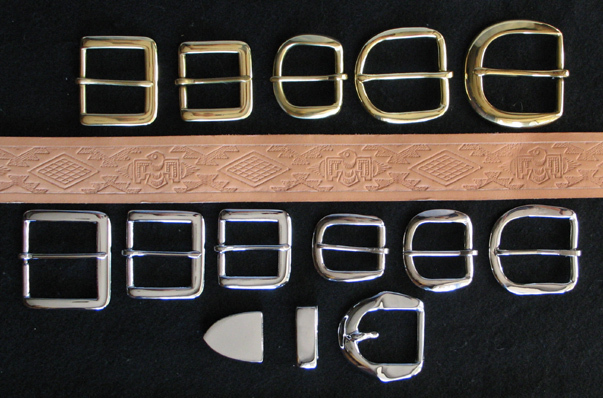 Our buckles are high quality solid Brass (round or square) or Nickel (round or square). 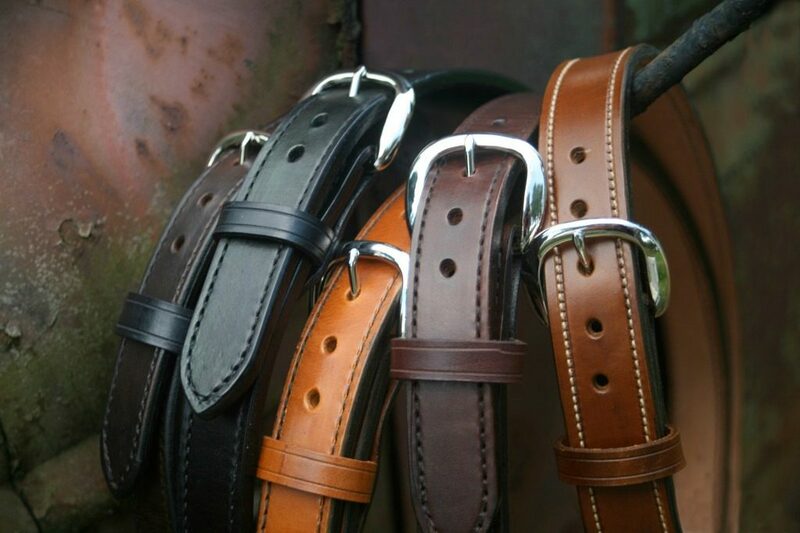 If you have a belt buckle in mind for your new belt and don’t see it in our selection, just give us a call, maybe we can help you locate it. We install the buckle using 2 removable Chicago Screws to match the buckle. (We also offer the floral pattern on our Chicago Screws at no additional cost). We do this to allow our Customers to install their own buckle if desired. (On the subject of Chicago Screws – I suggest you make certain they are tight, now and then. They are known to back out on occasion. I put a little Loctite on mine to make sure they don’t come loose. Use the “Blue 242” Loctite and you can remove the screws if you wish. You can purchase Loctite from your local hardware store, Home Depot, Lowes, etc.